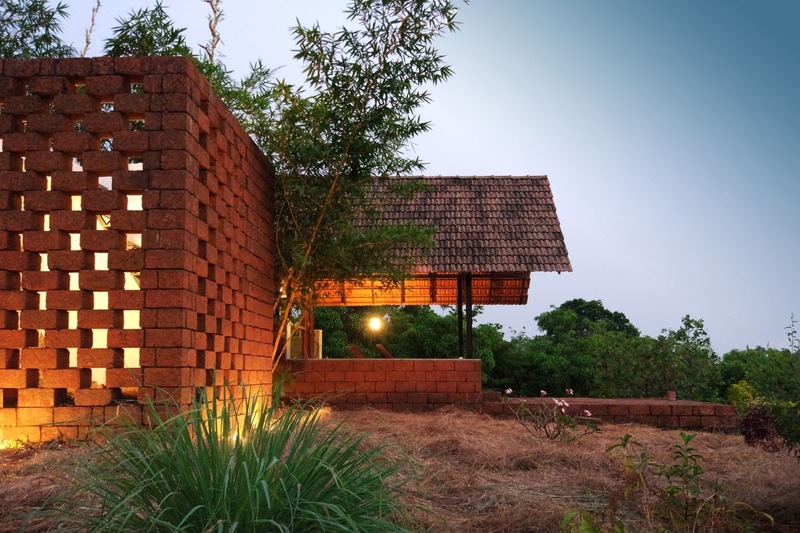 Vrindavan - A Farmhouse at Ozram, Maharashtra, by Studio unTAG, Gauri Satam and Tejesh Patil - ArchitectureLive! 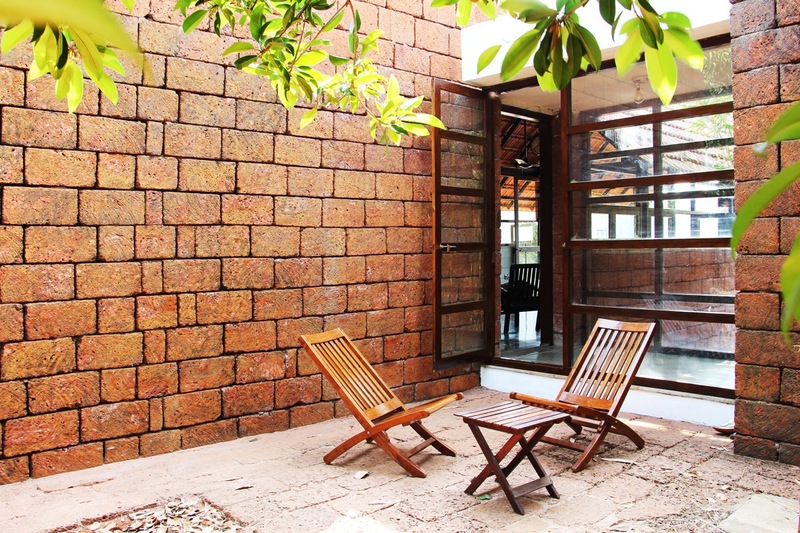 Vrindavan is a modest 1000 sq.ft farmhouse, nestled within a 2.5 acre farm, true to its mythological Sanskrit meaning – a grove. 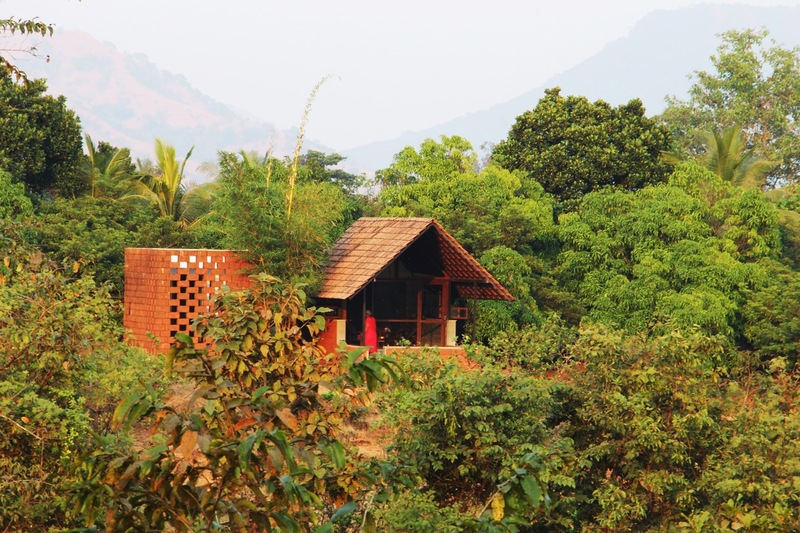 It is a retirement home for a couple in their 60s, in their native village, Ozram, Maharashtra, India, on a quiet farm treasured by them as a hobby over past 15 years with plantations of mango, cashew, chickoo, jackfruit, and palms. Their only brief was, a humble abode close to nature. Their only constraint, an exacting budget of Rs. 10 lacs (appx. 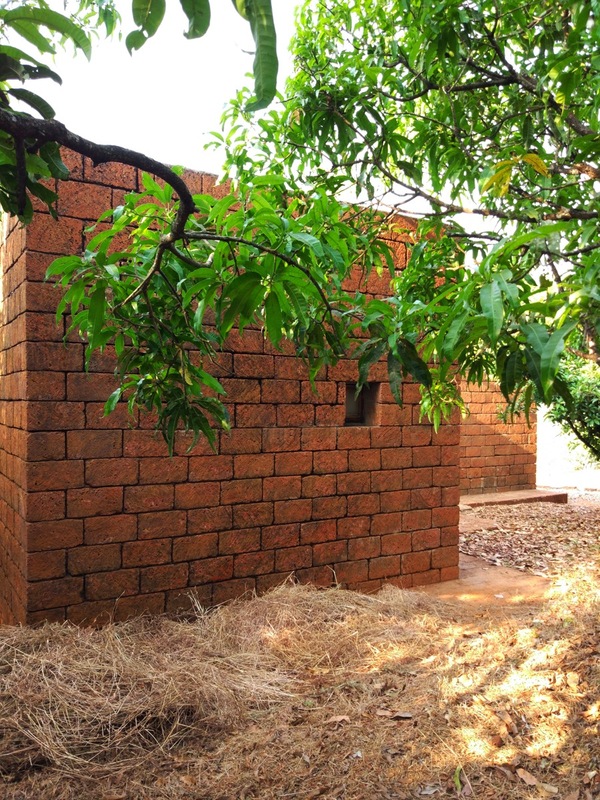 15000 USD), which meant building the house at 15 USD/sq.ft. 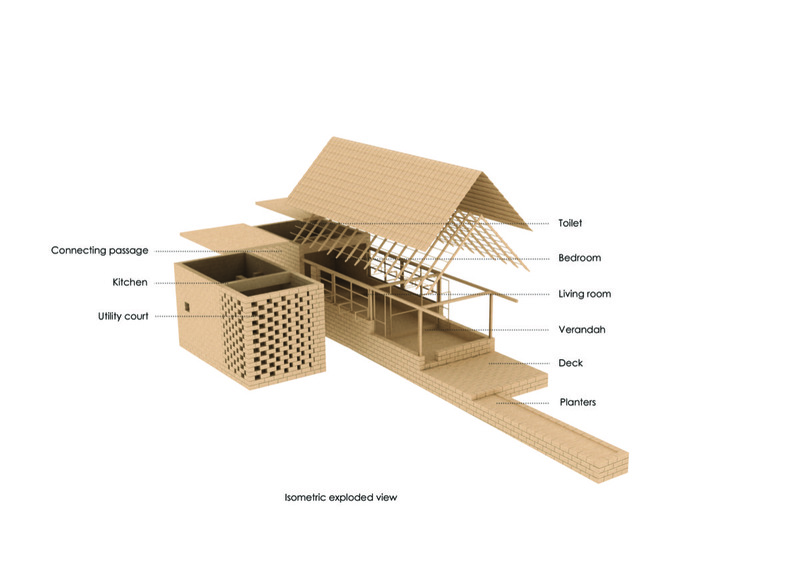 We aspired to design an indigenous cost effective house, relatable to the human scale, where experience of inhabiting was to be prioritized over a monumental form. 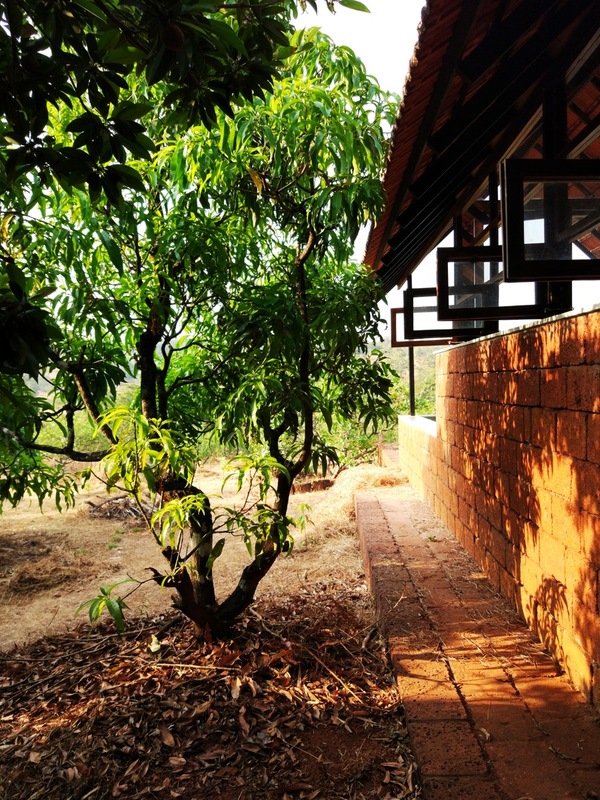 On our first site visit, we found a dead mango tree on a well-defined 20 feet grid of mango and chickoo plantation. 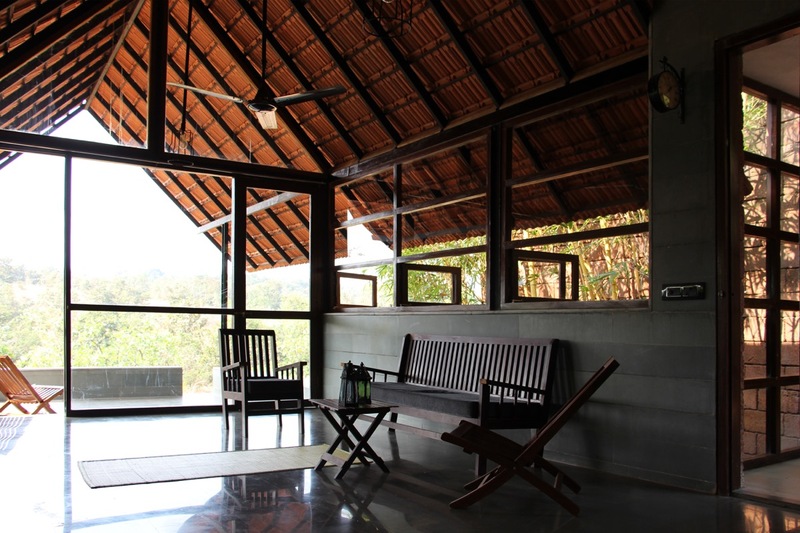 Instinctively, we felt the house would sit perfectly here, within a dense grove, opening up to a distant hillock view. 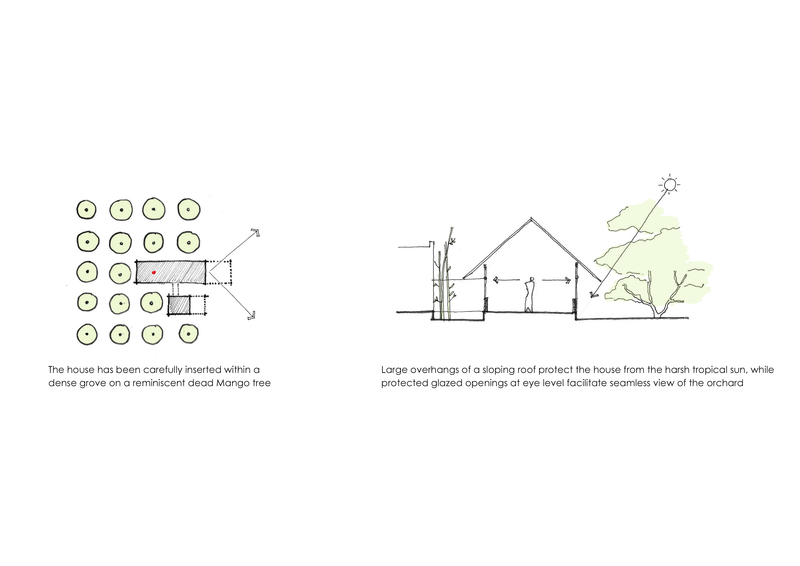 The House had to grab the views of the lush green tree canopies, establishing an indoor-outdoor connect yet retain privacy in parts. 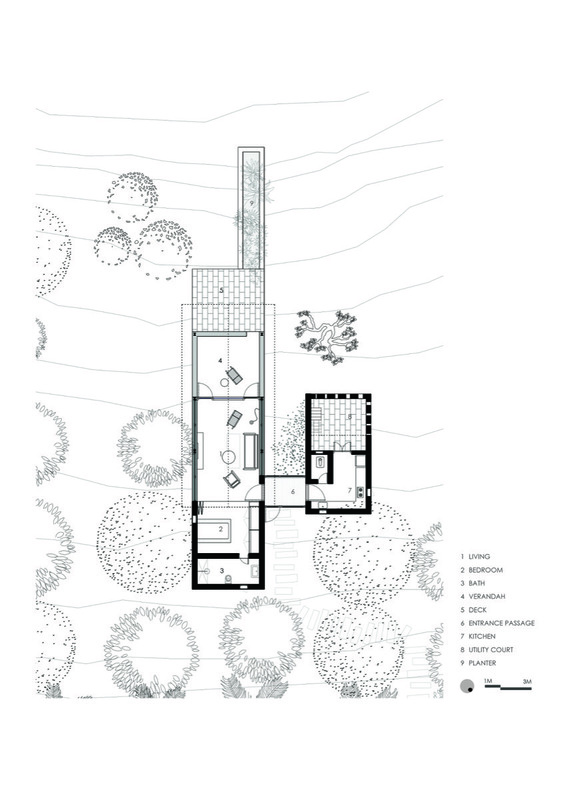 The House was designed as a series of 12’ wide descending spaces from a private bedroom & bath space to a cross-ventilated spacious Living to a verandah, trailed by an open deck, overlooking the hillock. The Living and Bedroom merge into one, during the day time, giving a sense of a bigger modular living space. 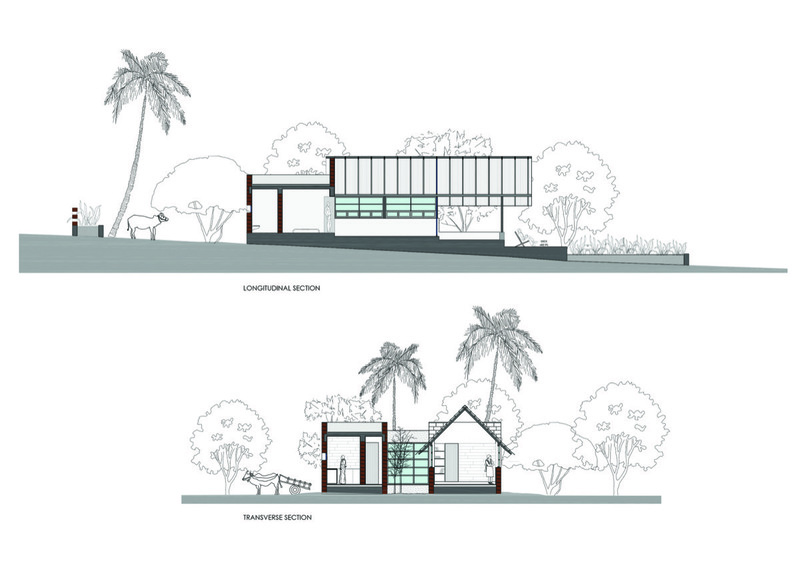 The entry to the house is marked through a thin, see-through vestibule, connecting the main house to the kitchen. 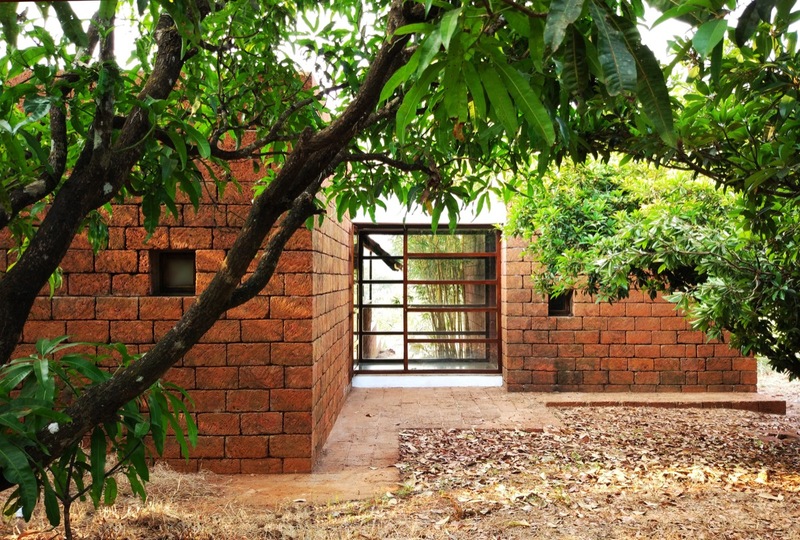 The kitchen has a service court for the desi chullah (a rural hob), which is enclosed by a stone jali, shading the court while magically transforming the space throughout the day. 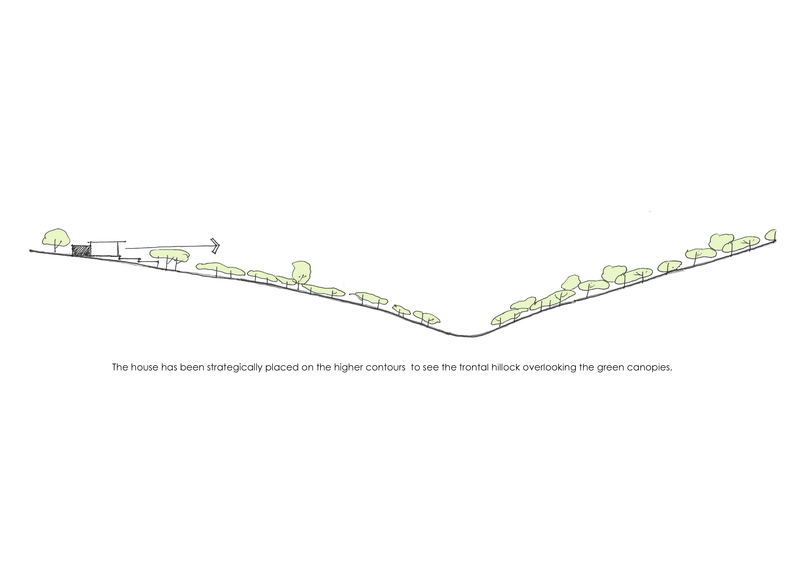 The house gradually steps down, following the site topography, concluding into a 14’ high, ridged volume of the verandah, offering a serene sunset view behind the distant mountains. 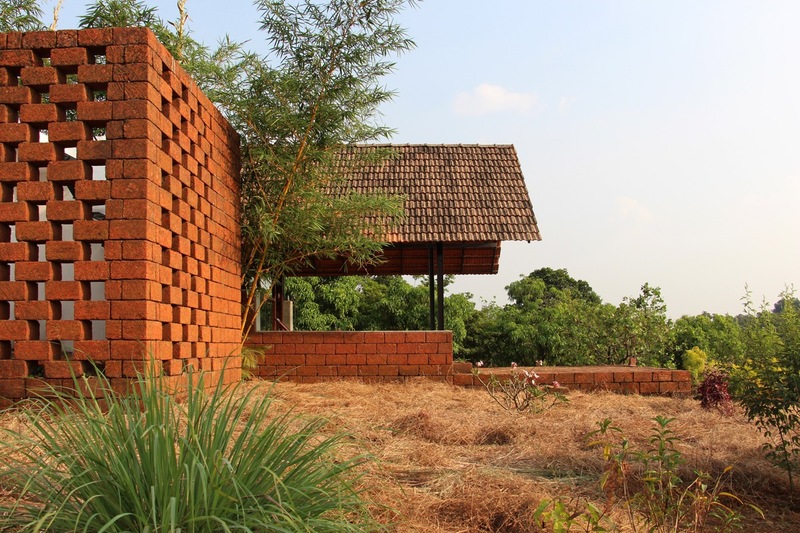 Chira (laterite), a cost-effective indigenous stone procured from a quarry 3 kms away, is the body of the house, used as the main load bearing structural element. 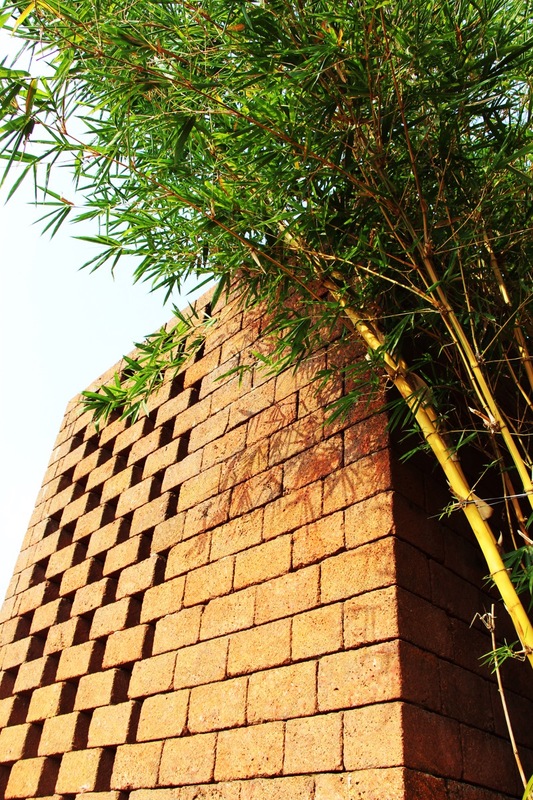 Chira, a porous stone, laid using lime and cement mortar behaves like an earthenware. 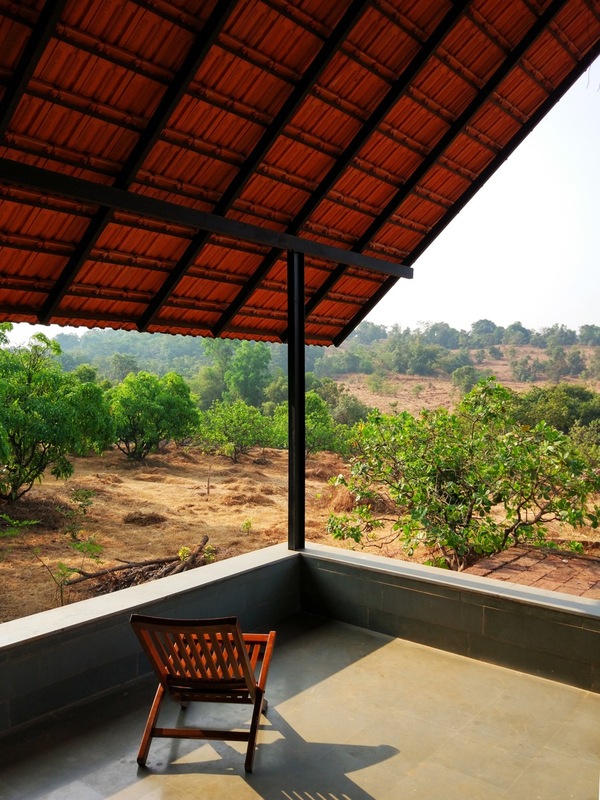 It keeps the internal temperature distinctively 4-5 degrees lower than the outdoors in the harsh tropical summer, also bravely withstanding the fierce westerly monsoon prevalent in the konkan belt. 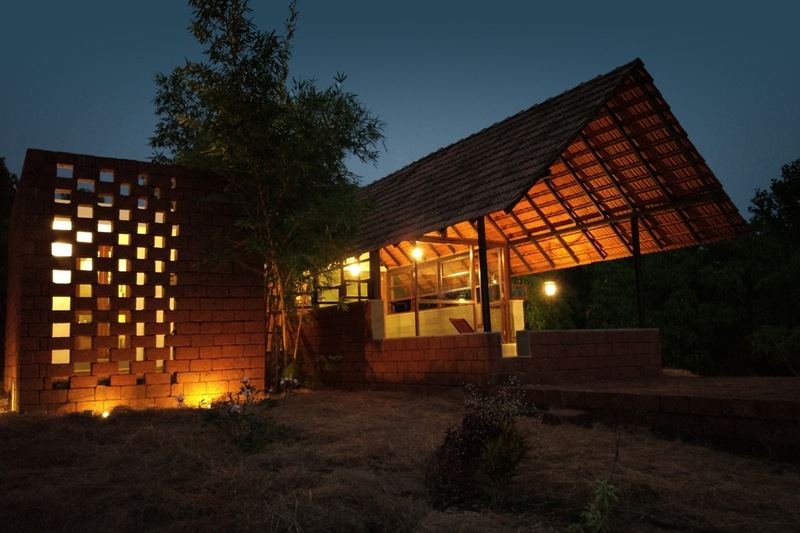 Shade, an inherent part of a tropical house, was ensured through large overhangs from locally available terracotta roof tiles, supported on a metal sloping roof structure. 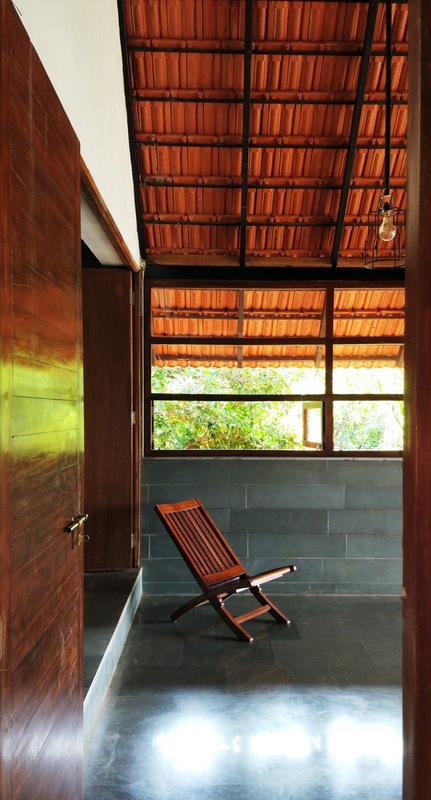 The door-windows were crafted from salvaged local teak and jackfruit wood, bought at a nominal price, by reusing the rafters of a dismantled old Hindu temple from a nearby village. 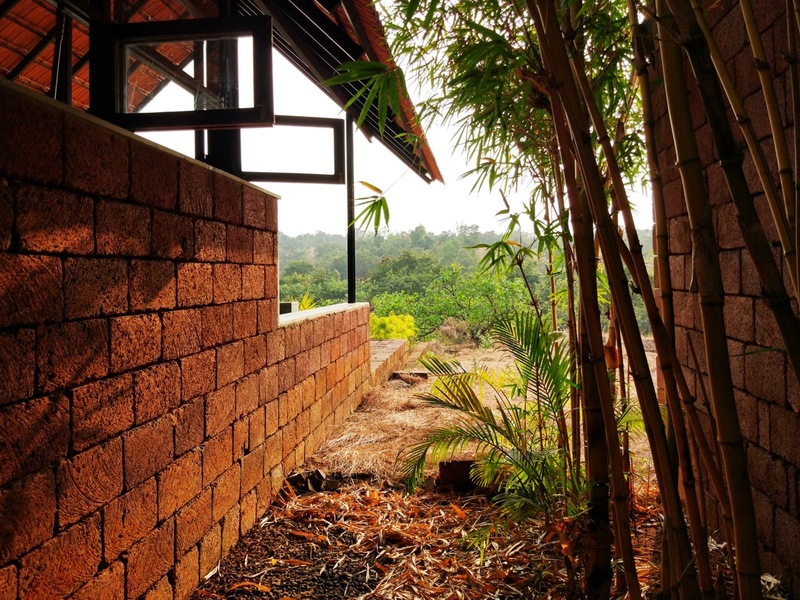 The Floor and internal walls have been lined with indian Kotah stone, adding another layer of heat insulation from the scorching sun. 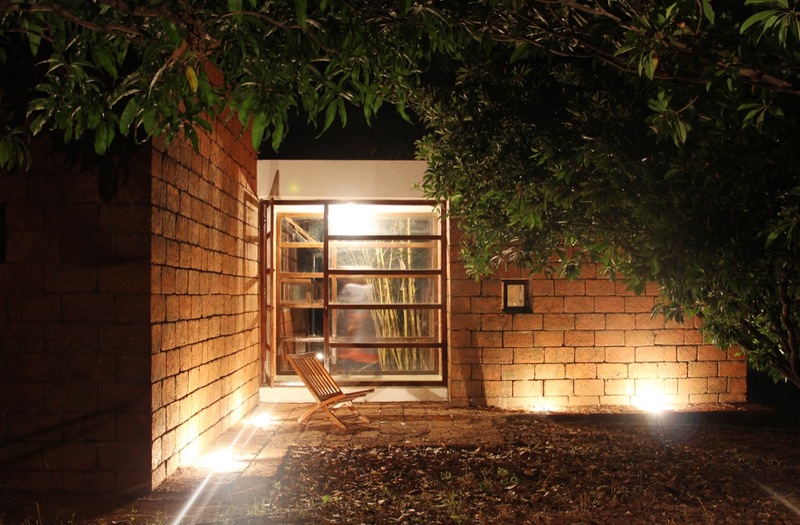 The Client’s old unused furniture was altered and reused for the Living. 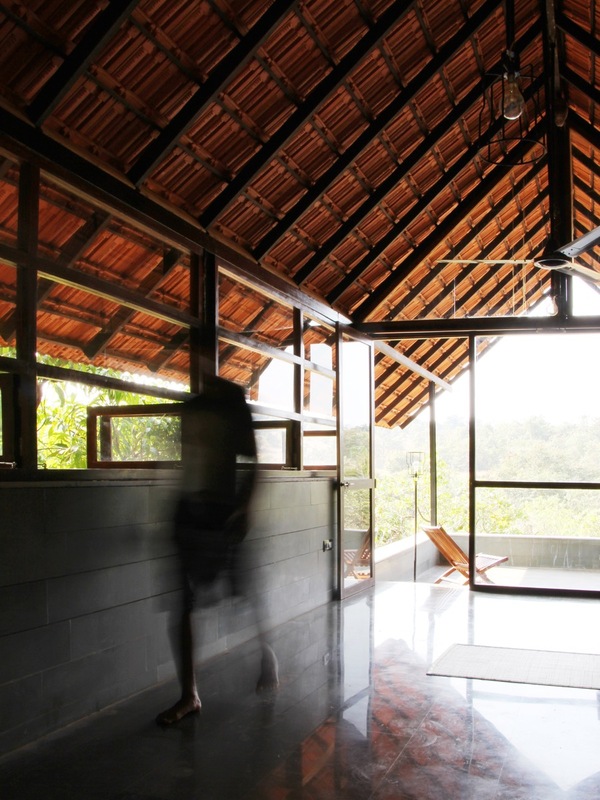 A balance between the optimal use of local materials and reuse of existing assets has eventually led us to design-build this sustainable house. 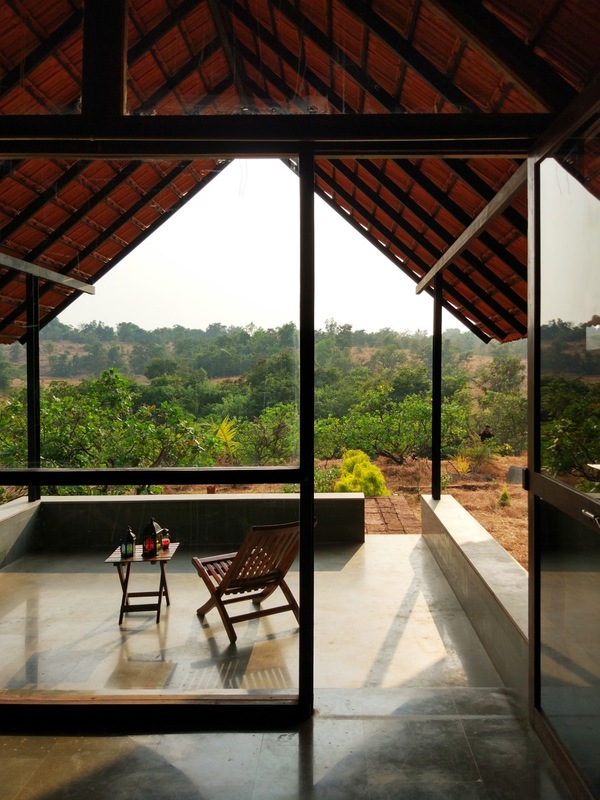 The delight of being able to pluck a mango from your window, sip a cup of tea while watching the sunset through a filter of green canopies, is an experience the Clients cherish. This house is NOT about how it looks, but about what it overlooks and how it feels once inside it. 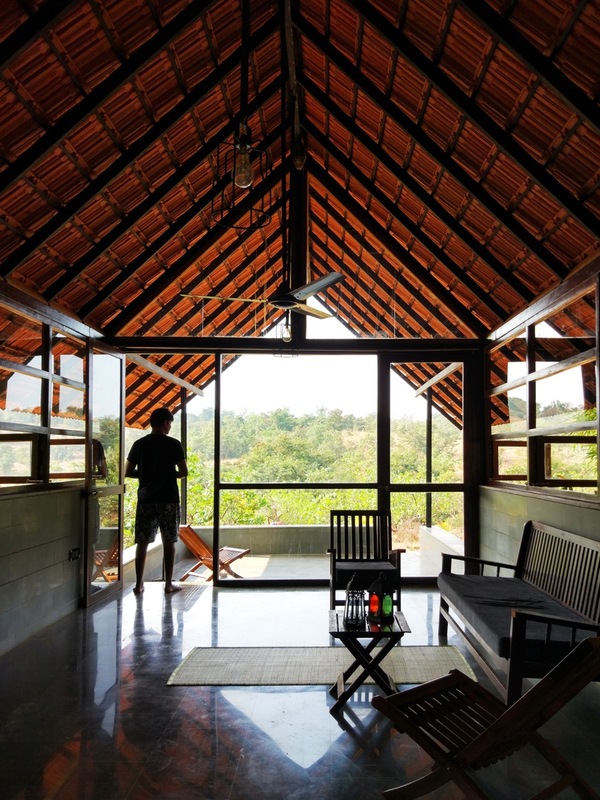 It is about a seamless connect between this modest abode and an orchard lovingly nurtured by the Clients over the past 15 years.